Here are two more allergen- and health-conscious recipes to try out this weekend. An employee brought the brown bean brownies to a company dinner and they were outstanding – a great alternative to traditional brownies. The bison with lentils recipe comes from our very own Scott Brynaert. Enjoy! Notes: Rolled oats run through the food processor may substituted for the instant oats. Use optional sugar if your bananas are still green and not very ripe. 2. Grease an 8×8″ pan and set aside. 3. Combine all ingredients, except oats, in a food processor or blender and blend until smooth, scrapping sides as needed. 4. Stir in the oats and pour batter into the pan. Bake approximately 30 minutes or until a toothpick inserted in the center comes out clean. Allow to cool before slicing. 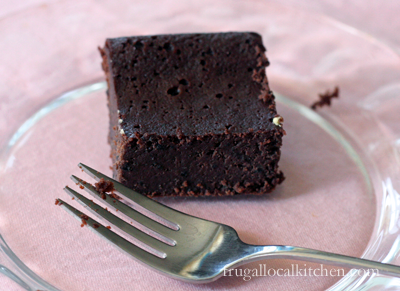 Note: if you find these brownies are too soft or too fudge-y, add another 1/4 cup oats or flour. 1. In a large pot on low heat, add onions and oil. Let cook for 15-20 minutes until caramelized, stirring occasionally. 2. 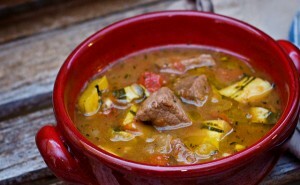 Add garlic and bison, stirring until bison is browned, then add the lentils. 3. Stir in spices and add the water and tomatoes. Bring to a boil, reduce heat, and let simmer on low for 45 minutes to an hour, stirring occasionally. 4. Add the kidney beans and simmer for 30 more minutes, or until the lentils are soft and most of the liquid has been absorbed. Hi, I tried to make a gluten free version of the Black Bean Brownies and it was a hit with my family. It was delicious! I substituted oats with gluten free flour. Thanks for sharing!